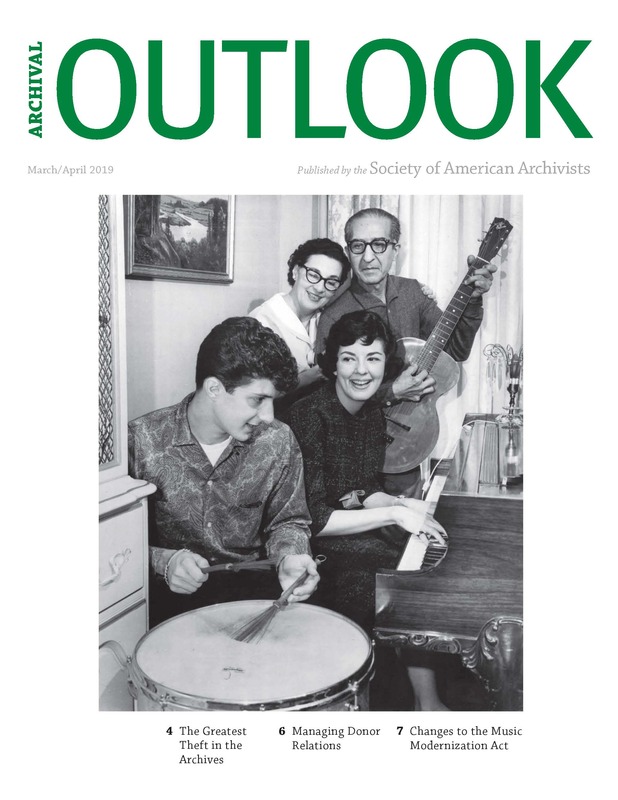 Archival Outlook is SAA's award-winning bimonthly magazine. Articles focus on best practice and how-to pieces on timely and relevant topics, how archives are used by the public, and archivists on the job. In addition, the magazine updates readers on important association business and the work of SAA's many shared interest groups. What are you waiting for? Click here to catch up! Archival Outlook (ISSN 1520-3379) is published six times a year, in January/February, March/April, May/June, July/August, September/October, and November/December. The magazine has a print circulation of more than 6,200 and is available as a digital edition here. TO SUBMIT AN ARTICLE: Please contact SAA's Editorial and Production Coordinator, Abigail Christian, with queries and ideas. Articles are typically 700 words (one page in layout) to 1,200 words (two pages in layout) in length. They should include some kernel of information that will enlighten the reader professionally. Photographs are encouraged. TO ADVERTISE in Archival Outlook, please click here or contact SAA's Editorial and Production Coordinator. TO ACCESS ALL ISSUES OF ARCHIVAL OUTLOOK: Click here. Archival Outlook is available as a digital edition, allowing readers to share the issue or individual articles, access text-only versions of the articles via social media, zoom in for an optimal reading experience, and more. (Learn more about the features of the digital edition.) Launched as the SAA Newsletter in 1974 and rebranded as Archival Outlook in 1996, the entire run is open access and contains a trove of information about the association's history and evolution.